People looking to build credit are starting their credit journey for the first time, while others may be resuming a journey derailed by a financial mistake (or three). Either way, building — or rebuilding — a positive credit history can have substantial benefits for your financial future. Why? Because credit reports are used by everyone from potential lenders to potential landlords to get an idea about your financial habits, meaning the information housed within those reports will influence many important decisions throughout your life. Life events, such as qualifying for credit, seeking a new apartment, or even competing for a new job, could depend on the information in your credit report. For most consumers, the easiest way to begin building (or rebuilding) credit is to get a credit card. And despite what many may assume, plenty of issuers are happy to help you get your credit on track — the hardest part may be simply narrowing down your options. Check out our category breakdown to start your search. Although colleges and universities are intended to be institutions of academic learning, the average college student likely obtains more than a basic education with that degree. Indeed, college is also the place where we learn many important life lessons — including the true cost of the goods we took for granted when living at home. Additionally, those years as a student can be a great time to begin building credit and learning responsible credit behaviors. 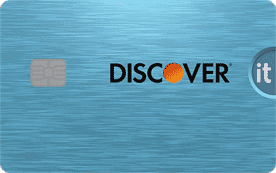 To help students get started on the right foot, most major credit card issuers offer student-centered cards designed to help credit students become credit masters. 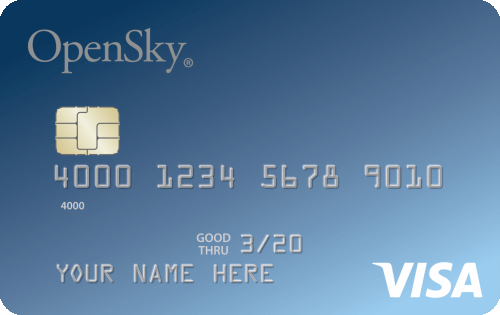 Our favorite student cards are annual-fee-free, while still providing solid cash back rewards. One thing to note before applying for your first student credit card is the age restriction imposed on credit cards by the CARD Act of 2009. The CARD Act specifically states that those under the age of 21 may not apply for a credit card on their own, unless they can show proof of an individual income of a suitable amount. For potential cardholders aged 18 to 20, the income restriction can be circumvented by applying with a qualified co-signer. To qualify, co-signers must be over the age of 21 and have a good credit history. The decision to become a co-signer should be considered carefully, as co-signers will be held responsible for any debt accumulated on the card should the primary cardholder become unable to (or chooses not to) repay the debt. A common catch-22 in finance is the idea that you need to have credit to get credit. This is because creditors use your credit report to determine your credit risk. No credit history means there is no way to determine your actual risk — which makes you a risk by default. For instance, a consumer without any established credit history will likely find it quite difficult to secure a mortgage. Luckily, that pesky catch-22 isn’t quite universal, and those who have yet to establish their credit can get started by applying for their first credit card. 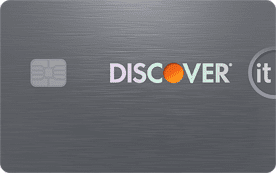 Many major credit card issuers offer easy-to-get cards designed especially for credit newbies, including options for earning cash back rewards as you learn. Start your search with our top-rated picks, which come without annual fees to hold you down. Before applying for your first credit card, of course, it can be extremely beneficial to research how credit cards actually work, including how credit card interest is calculated. Knowing what to expect before you run out and start making purchases can save you a lot of heartache (and expensive fees) in the long run. While it can be difficult to obtain new credit without an established credit history, the opposite can also be true; sometimes it’s your credit history itself that makes the job difficult. In fact, in many cases, it can be easier to obtain credit with no credit history than with a poor one. On the plus side, bad credit doesn’t have to be forever. It’s possible to rebuild a positive credit history through the responsible use of credit, no matter how low your original score. A new credit card — such as those offered by our top-rated poor credit card issuers — can be a good way to start rebuilding a good payment history. 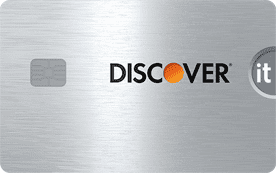 Our picks include both unsecured and secured cards, providing options for almost any credit need. In addition to showing improved financial behavior by responsibly using new credit and paying off old debts, one of the best things for your score will be time. The most recent information on your credit report will have the most impact, and as the negative accounts on your credit report age, they will have less and less impact on your credit score. Furthermore, according to the Fair Credit Reporting Act, most of the negative marks on your credit report, such as missed payments and defaulted accounts, have a set lifespan of seven years, after which time they should be removed from your report. The major exceptions to this rule are for hard credit inquiries, which only last two years, and bankruptcies, which can last up to 10 years. When exploring credit card options for building credit, you’ll likely come across two main card types: secured cards and unsecured cards. 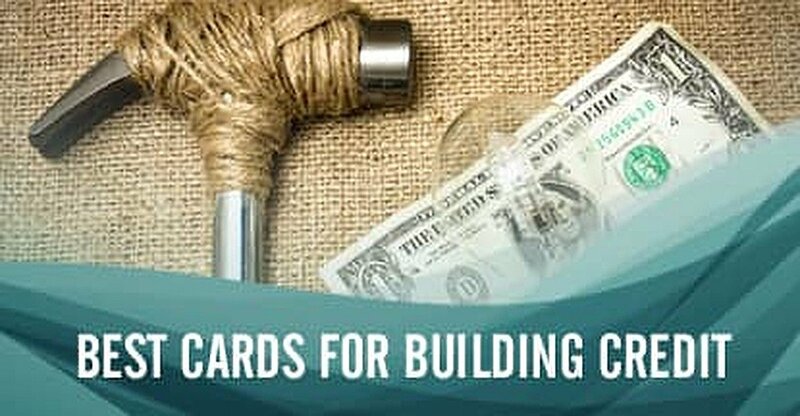 The primary difference between the two card types is that secured credit cards require an initial cash deposit to establish an account, while unsecured cards do not. Whether you have yet to establish a credit history or have made a few mistakes in your credit past, secured credit cards will likely be the easiest card to obtain. The secured nature makes them less risky than unsecured cards, so issuer requirements tend to be less strict. Our top options are free of annual fees and will report to all three major credit bureaus. Another difference between secured and unsecured credit cards is how your credit limit is determined. With unsecured credit cards, your credit limit will be based mostly on your individual credit history. The credit limit of your secured credit card, on the other hand, will be determined by your initial deposit alone, or some combination of initial deposit and creditworthiness. You should also note that secured credit cards won’t keep your deposit forever. Your full deposit will be returned to you when you close your account, so long as your account is in good standing. If you have an outstanding balance when you close your account, you’ll need to pay your balance in full to recover your deposit. If, at any time, you default on your secured credit card balance, the issuer will close your account and use your deposit to cover what you owe. If you owe more in balance and fees than your deposit can cover, you’ll be required to pay the difference. In some cases, a secured credit card issuer may automatically upgrade you to an unsecured credit card and return your deposit after 12 to 24 months of responsible use and credit improvement. Not all secured cards offer upgrades, so be sure to research your chosen card carefully before applying. Whether we like it or not, consumer credit reports play a significant role in many of the major events in our lives. Everything from getting your first job to buying your first home can involve an examination of your credit reports, so it’s in your best interest to make sure the information on those reports is positive. It’s also a good idea to start building a good credit history as early as possible. A full 15% of your credit score is based on the length of your credit history and the average age of all of your credit accounts combined, so the earlier you start establishing credit, the better you will score in this area.